Gaylin’s mission is to teach business owners how to minimize their occupational safety & health cost and maximize safety compliance in the workplace. He works directly with business owners as a strategic partner to help them use their most valuable resources – money, time and people – in the most effective manner possible. He will keep business owners focused on their highest priority goals and objectives, provide perspective, and, most importantly, ensure actions are measured for maximum performance. Gaylin’s 20 years of experience range from being a Safety Graduate Assistant/College Instructor to working with multiple industries including manufacturing, construction, transportation, petroleum, convenience store chains as well as tool and machine shops, just to name a few. 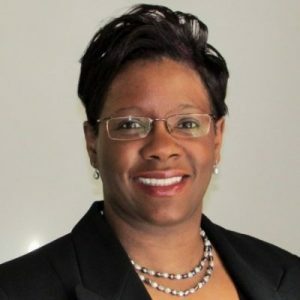 Ms. Howard-Peebles is an environmental regulatory compliance specialist with over 15 years experience in regulatory analysis and compliance, environmental assessments and audits, and environmental management documentation (including permitting). She holds a Chemistry degree. In her professional career, Ms. Howard-Peebles has conducted environmental compliance assessments, developed or supported development of environmental compliance plans for field activities, waste treatment or disposal permit applications, closure and cleanup plans. Her expertise includes interpreting and implementing environmental regulations and requirements in wastewater, stormwater, solid and hazardous waste, and hazardous materials. She has negotiated and facilitated project requirements, compliance documentation, and path forward solutions with state and federal regulators on public projects for the Department of Energy and Department of Defense and private projects in the petroleum, chemical, mining, manufacturing, pharmaceutical, and waste management industries. As an authorized OSHA 10& 30 hour construction instructor Mr. Fennell has more than 30 years of diverse Safety training experience working with large corporations. Mr. Fennell is known as a strict United States Army disciplinarian and group leader. As a Drill Sergeant, Mr. Fennell instructed and trained over 200 men. Mr. Fennell brought his leadership skills to corporate America and the consulting industry and the results have been phenomenal. Mr. Fennell has a bachelors in Safety and Health Management. Mr. Smith has worked in the insurance industry for over 30 years and is considered an expert for evaluating risk from a standpoint of workers’ comp,property, general liability and product liability. 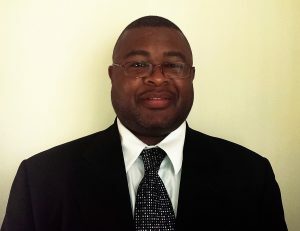 Mr. Smith has conducted thousands of insurance surveys and safety training.